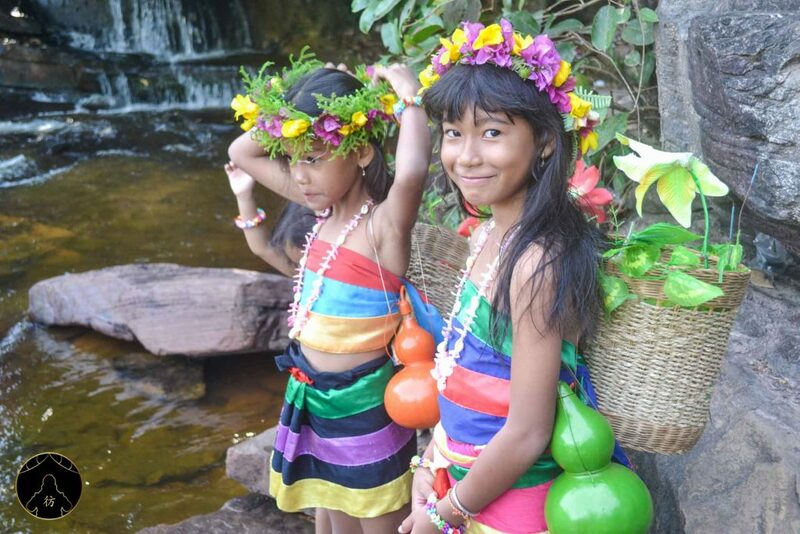 Sihanoukville Cambodia – When I traveled to Cambodia, I really liked visiting Sihanoukville. So much so that I ended up staying there for two weeks! This blog post is me sharing what I loved so much about it. The city was called Kampong Saom (meaning ‘pleasant port’ in Khmer) but was renamed in 1958 by King Sihanouk who built there the first and only deep water port in the entire country. 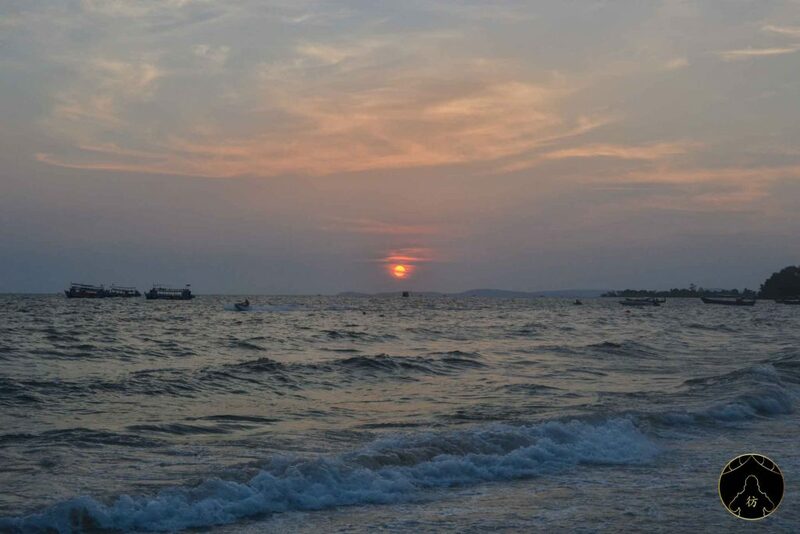 Sihanoukville is a coastal city, just like her southern neighboring cities Kep and Kampot. It enjoys a pleasant climate and offers beautiful beaches to locals and visitors. It has a very calm and relaxing atmosphere so it’s an ideal holiday destination. Here’s how to get to Sihanoukville as well as some accommodation options if you’re looking for some place to stay. Get yourself ready and let’s get to know this city better! 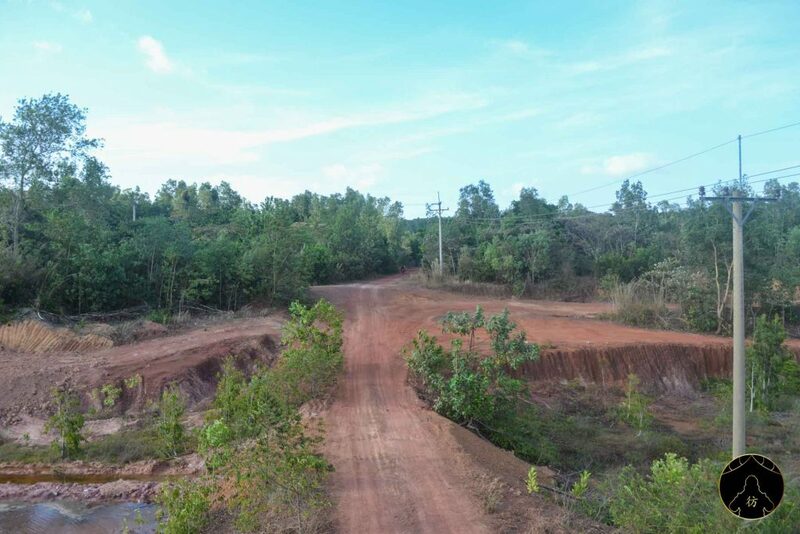 There are no airports in Sihanoukville so you’ll need to travel from Phnom Penh to get there. If you want to go to Sihanoukville from Siem Reap, you’ll have to go to Phnom Penh first. I traveled to Cambodia on a motorcycle I brought back from Vietnam. If you do not have a motorcycle, the best way to get to Sihanoukville from Phnom Penh is by bus. 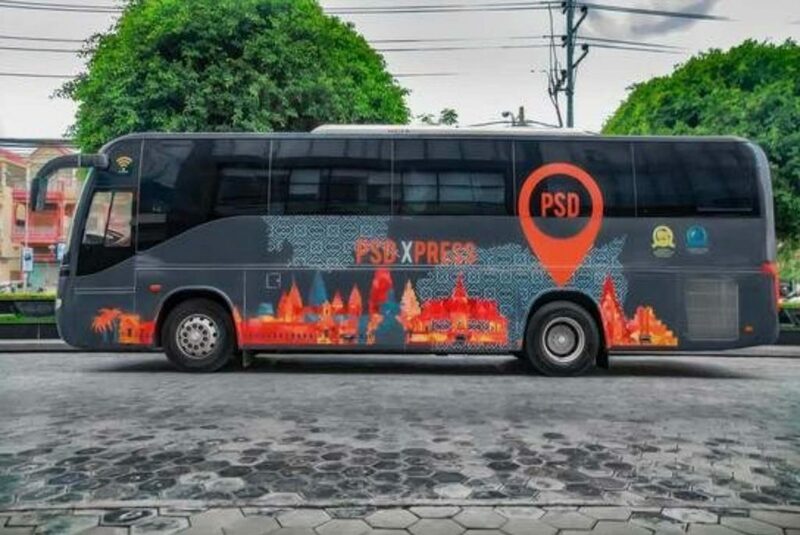 To book your bus tickets to Cambodia, you can do it online via Camboticket. You will find many reviews and testimonials there that will help to choose the right travel company. Very handy to avoid scams! 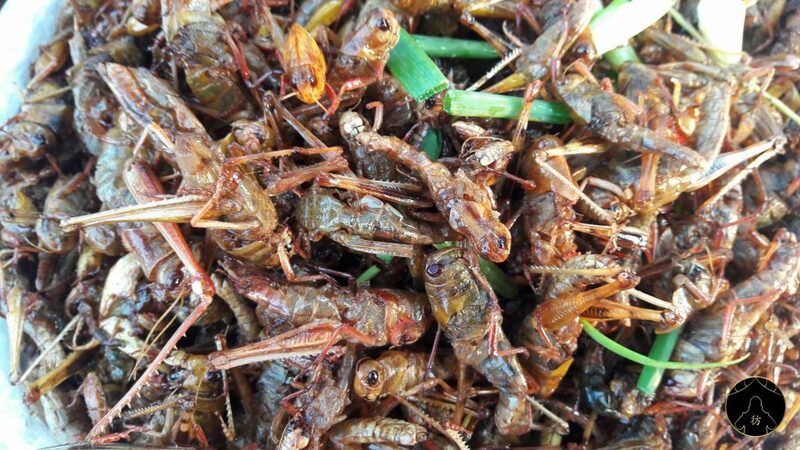 During high seasons, accommodation in Sihanoukville can quickly become troublesome. So if you’re planning to go there between October and March, try to book as early as possible. I stayed at this hostel most of the time I spent there. 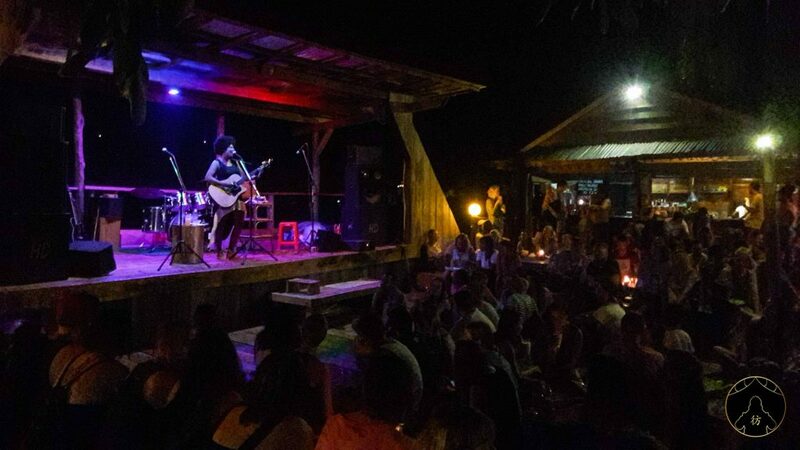 Its location is really great, it’s close to the port if you’d like to go to Koh Rong Island (more on it below) and to several restaurants and bars. It’s only $8 per night for a dorm bed and it has a swimming pool! What more do you need? When I arrived to Sihanoukville, the backpacker I was hadn’t booked a room in advance and had to spend the first three nights at this hotel that I also recommend if you can afford to spend more money on accommodation or if you’re traveling with a partner for example. 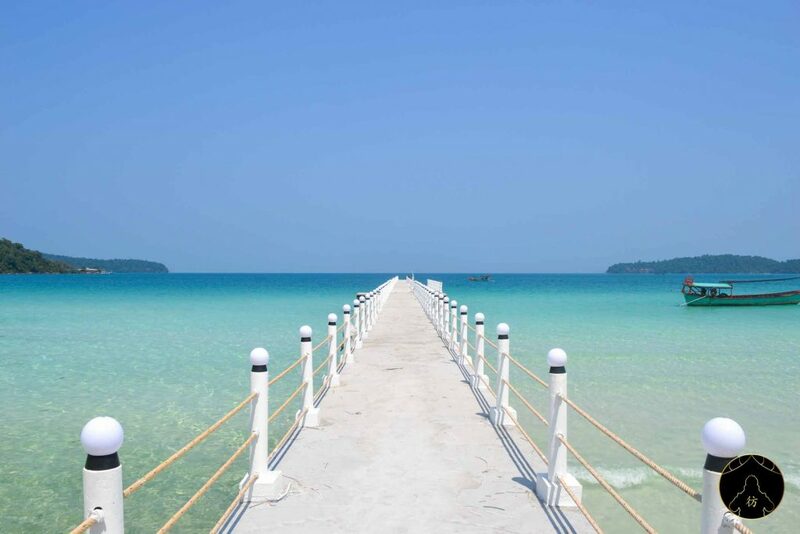 You’re now ready to travel to Sihanoukville! Let’s review the city’s best attractions. Independence Beach is not very crowded so enjoy its peace and tranquility as much as you can. 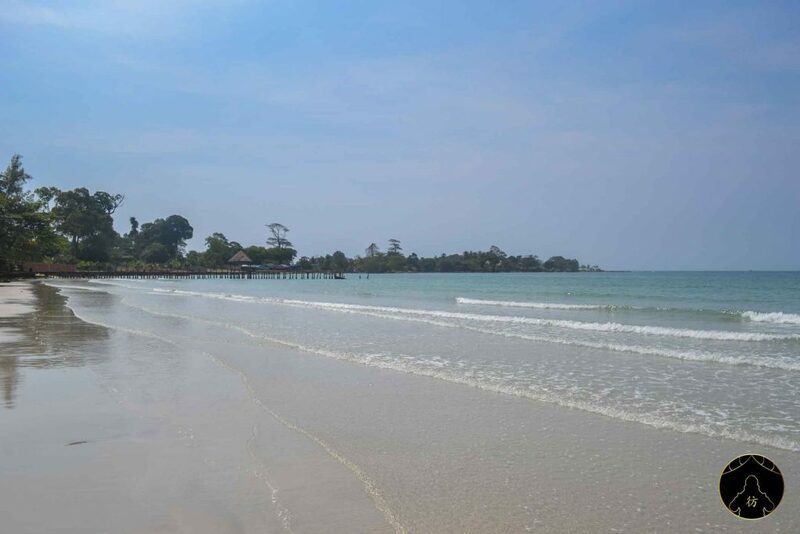 Ochheuteal Beach is another great beach in Sihanoukville. It’s bigger but also more crowded and it’s a particularly good sunset spot. 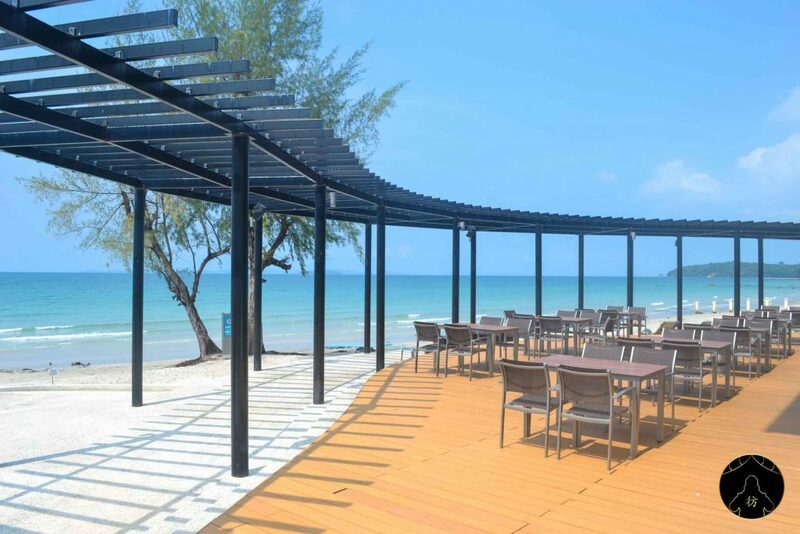 Otres Beach is yet another well-known beach in Sihanoukville. It’s a little bit far from the city (at a decent 20-minute motorbike ride) and is therefore even more peaceful and relaxing. What you shouldn’t miss in Otres Beach is its market. It takes place every Saturday night and it’s not just an ordinary market. Of course you can buy local products and souvenirs there but what’s really nice at Otres Market is the tiny little shows that take place there and the very hippie atmosphere that prevails. 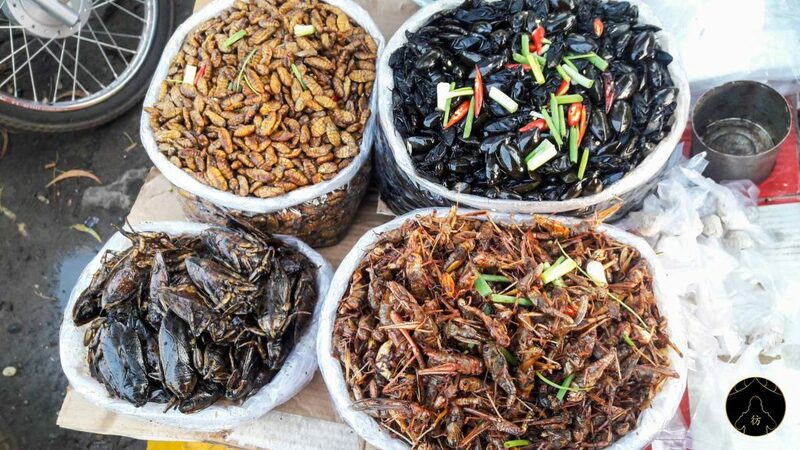 If you don’t know what to do on a Saturday night in Sihanoukville, head to Otres Market, you won’t regret it. A good beer, exotic dishes and good live music, what more do you need? 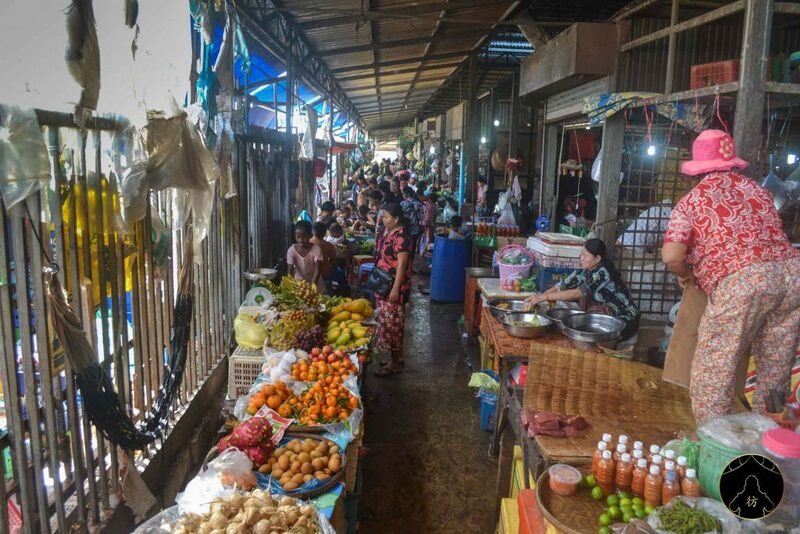 Speaking of markets, I also recommend shopping at Phsar Leu market in Sihanoukville and trying their fresh products and produce. 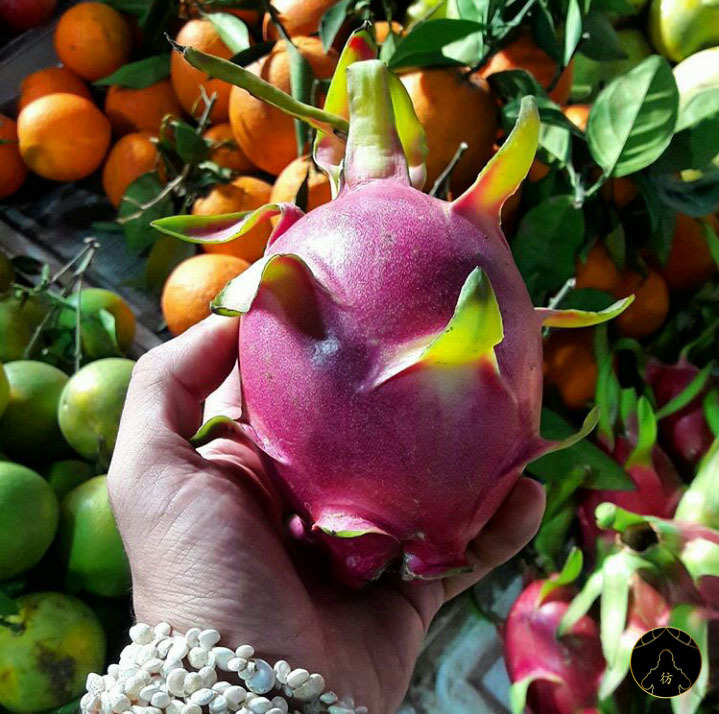 Dragon fruit and jackfruit were definitely my favorites. Here is the exact location of the market. 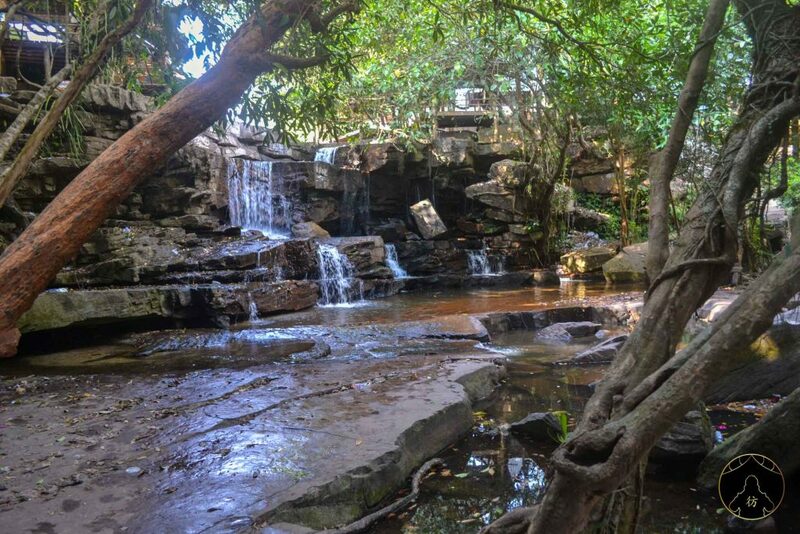 Just outside of Sihanoukville, you can visit the Kbal Chhay waterfalls, located only 30 minutes away from the city. They’re actually about ten kilometers away from the city center but a good part of the road leading there is in bad condition so you can’t drive fast enough. Here is the exact location of the waterfalls. 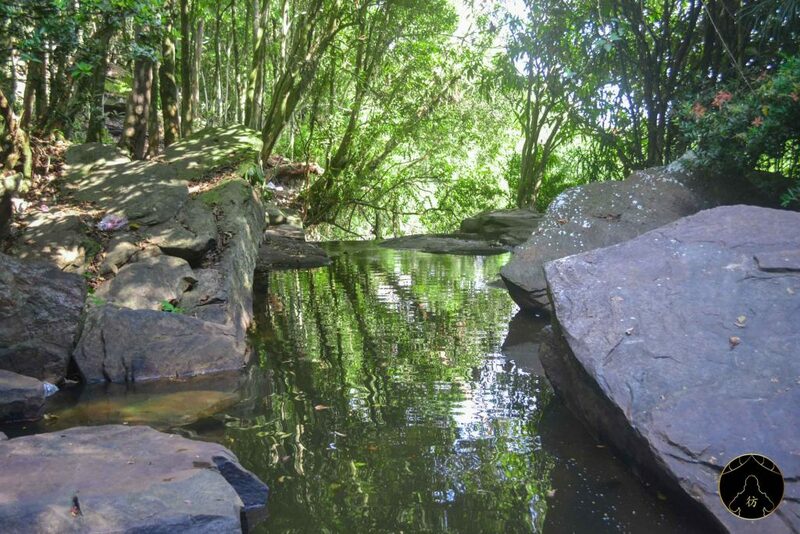 You can have a nice walk before you get to the waterfalls. The natural setting is very peaceful and a change of scenery is always welcome! Don’t you think? The waterfalls are not very popular among tourists and because they are rather difficult to access, you’ll probably just come across a few locals who come to the waterfalls to freshen up. 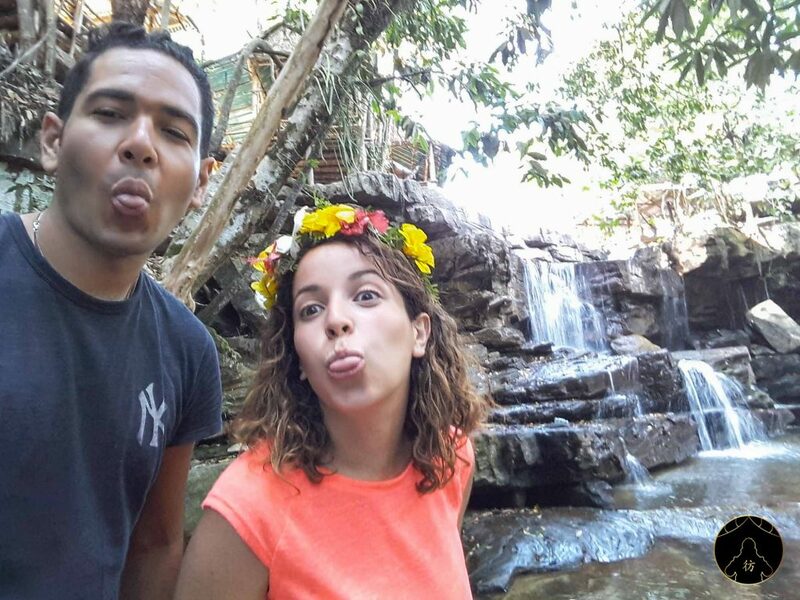 Greetings from the waterfalls with my friend Dora! Last but not least on this list my friends (I can honestly say I saved the best for last) is the island of Koh Rong Samloem. 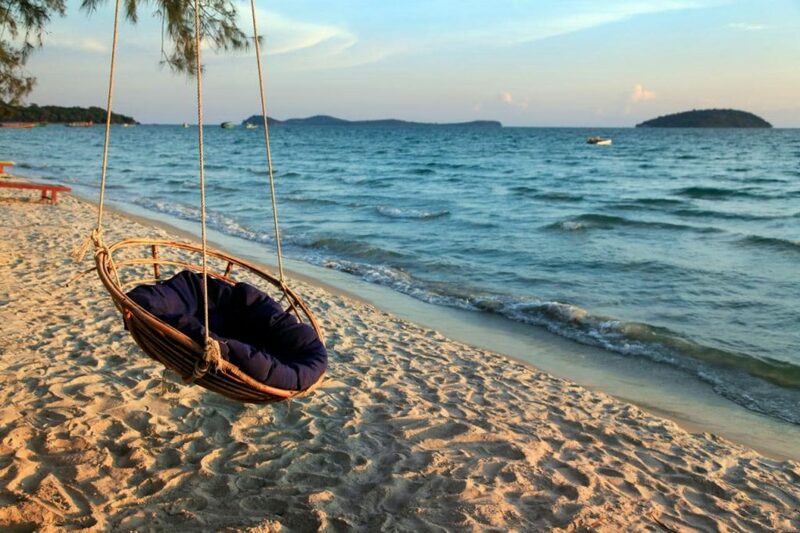 It’s undoubtedly my favorite place near Sihanoukville and in all Cambodia. Sandy beaches and gorgeous nature are waiting for you there! There is a lot more to say about Koh Rong Samloem so make sure you read this blog post: Koh Rong Samloem Cambodia. 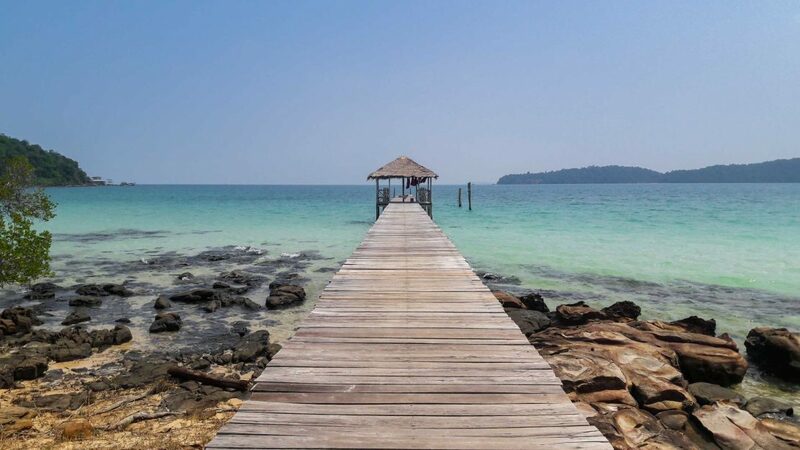 I’m done showing you around Sihanoukville Cambodia! I’m getting all emotional just writing about it, that’s how much I already miss that place! But I’m sure I’ll go back there soon. If you have any comments or questions, please post them in the comments below, I always take the time to answer them. You can also follow me on social media to share your travel tips and experiences in and around Asia: Facebook Page, Facebook Group, Instagram and Pinterest. See you around, fellow travelers! Koh Rong Samloem - The Most Beautiful Island in Cambodia! Phnom Penh Cambodia - A Complete City Guide You Need To Read!